After what seems a very long period in gestation, Minister Nikki Kaye today released the report of the reference group that I have been a part of, titled Future Focused Learning In Connected Communities. The report outlines ten priorities for equipping learners with 21st century skills and digital competencies. But it is not simply another set of recommendations about how to 'add' ICTs to what we do in education – it goes far deeper than that. The report builds on the recommendations of the cross-party select committee inquiry into 21st century learning environments and digital literacy, which drew submissions from a wide range of indviiduals and organisations, and emphasised the critical role of digitial technologies in the lives of New Zealanders as we look to the future. One of the most important recommendations we have made in this report to achieve this is the implementation of a coordinated, system-wide effort to align curriculum, digital technologies, property, infrastructure, funding and legislation Integrate the core elements of digital learning with a relentless focus on promoting learning in safe, future-focused environments. Integrate curriculum, effective teaching and leadership practices, technologies, property and system infrastructure. The recommendations are certainly ambitious, but reflect the emerging milieu and the need to prepare every young New Zealander for living and working in a world that will undoubtedly rely on an increasing level of digital infrastructure and digital literacy. Wahoo! After much experimentation, our book,'eLearnings: Implementing a national strategy for ICT in education' is now available online through Amazon for the Kindle. Few countries in the world have embarked on such an ambitious approach to a national ICT strategy for schools as New Zealand. This book archives the impact and implementation of the national ICT strategy in New Zealand, 1998-2010, from the perspectives of the people who effected that implementation. It is a story of both policy initiative from the ‘top down’ and local innovation ‘from the bottom up’, as seen through the eyes of those involved. There are stories here from the perspectives of the politicians and policy makers involved, through to the facilitators who worked with schools and the teachers in classrooms who made exciting things happen with children. 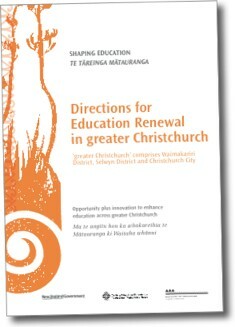 For those who've walked the journey through these years you'll find lots of familiar names and events, and for those who are interested in understanding more about how the NZ education system has evolved in its implementation of ICTs to support learning, this book provides a range of insights that will save you hours of interviews. As the NZ education sector contemplates what learning will be like in the 21st century and the importance of digital literacy, considers the purpose and potential of a national managed network, and explores bold new options for organising schooling based on the rebuilding of schools in Christchurch, this book provides a useful historical perspective on what works (and what doesn't) when implementing such future-focused programme of change. Importantly, this book illustrates just what can be accomplished when the emphasis is put on people, harnessing their potential and involving them in all aspects of the change management process. It provides insights about leadership, change management and collective decision making. A good read for a winter weekend! The long-awaited 100-day plan has been released tonight, revealing what is planned for the re-development of the centre of the city in which I live after it was devastated by earthquakes. The video above, which appears on the Christchurch Central Recovery Unit's website, provides a graphic illustration of what is being planned. excellent use of computer generated graphics to help convey an understanding of what is proposed. The Ministry of Education released their draft Renewal Plan for Christchurch last week, outlining the strategy for what will happen for education in CHCH over the next few years in the wake of what happened to schools following the devastating earthquakes here last year. These left many school buildings destroyed and in need of rebuilding, while there are also significant demographic shifts as whole neighbourhoods are re-zoned for demolition and land deemed unsuitable for re-building. During last year, the Ministry of Education facilitated widespread consultation with school leaders, teachers, parents and BOTs to bring together all of the ideas and thinking people have for what could be done. I participated in a few of these meetings and found them generally very invigorating, with ideas flowing around what a 'renewed' education system for CHCH might look like. While the earthquakes were an event noone would ever wish upon anyone, it is appropriate that the opportunity is taken to 'think afresh' about how a 'city-wide' provision of education services that extends beyond each individual school thinking just of its own needs and services. From the diverse range of ideas that were shared, a number of consistent messages emerged, and these are reflected in the plan that has been produced. Those looking for detail and specific mentions of what is going to happen to their particular school will be disappointed, however, I don't imagine that was ever intended that this document would provide such detail. Instead, it provides a bigger picture overview, outlining the key strategic areas to guide future planning, resourcing and implementation. Much of the document is a regurgatation of current government/MoE policy and direction that is broad in nature and the link to the specific context of post-quake CHCH isn't entirely evident (given that the national policy framework will be the context within which the recommendations in this document will be implemented anyway). The vision of a networked education system isn't that well defined or described in an aspirational sense – when looking for specific reference to the drivers of this vision the key references appear to be around 'cost containment', rather than an aspirational view of how this approach might better servce the needs of learners into the future. I guess this is the sort of reflection the document is designed to provoke – after all it is a draft, and submissions are now called for by 31 May. Arguing the case for ICTs in education…. again! My last day of camping at the beach for my summer break was interrupted by a phone call from Andrew Patterson at Radio Live wanting to interview me regarding an article in the New York Times titled Teachers Resist High-Tech Push in Idaho Schools. (unfortunately their 7-day Catch-up feature isn't working so a recording of the interview doesn't seem to be available.) The interview helped 'lurch' me out of holiday mode and begin thinking about some of the issues that are bound to face me as I return to work in the new year. The NYT article reports on the overwhelming decision of the state legislature to pass a law requiring all high school students to take some online classes to graduate. To enable this to happen, students and their teachers were to be given laptops or tablets. The idea was to establish Idaho’s schools as a high-tech vanguard. Naturally, such a decision will face criticism and resistance from some and be greeted enthusiastically by others, with all shades of response between – partcularly because of the compulsory nature of the decision. It seems that it's much more acceptable if such initiatives have some degree of 'buy-in' (or 'opt-out?') rather than making it compulsory. In this case (as in others around the world) the Idaho state legislature appears to have been persuaded by the argument that this isn't something that they can afford to leave to chance, and that providing all of their students with some experience of online learning should be an essential part of their schooling experince. In my interview with Andrew he asked me whether I thought this sort of thing is a sign of things to come – including here in NZ. I answered with an emphatic 'not only is this a sign of things to come, it's really another illustration of a trend that's been building up over the past decade or so'. He asked about what evidence we have of the benefits or impact of ICTs on learning, and I referenced BECTA's research on the impact of digital technologies on learning. He quizzed me about Orewa College requiring students to bring iPads to school in 2012 and I explained that Orewa is just one of a growing number of schools that are making the decision to require laptops for students through adopting a BYOD approach. In regards to the introduction of online learning, I explained that the time for virtual learning has indeed arrived, and explained the growth of activity in the Virtual Learning Network in NZ over the past decade. "Some teachers, even though they may embrace classroom technology, feel policy makers are thrusting computers into classrooms without their input or proper training. And some say they are opposed to shifting money to online classes and other teaching methods whose benefits remain unproved…" and "Teachers are resisting, saying that they prefer to employ technology as it suits their own teaching methods and styles. Some feel they are judged on how much they make use of technology, regardless of whether it improves learning." Now I completely agree with the need for proper training, and the need to demonstrate the value in any new initiative, but I can't help feel this article exposes some of the 'avoidance' thinking I see creeping into some of the discourse in this area, and the naivity of some of the claims being made. Take for instance the main argument attributed to teacher Ms Rosenbaum who claims that rather than use technology she'd prefer to engage students with questions – the Socratic method. Those who've been around the education traps for a while will understand the Socratic method is a form of guided questioning, of teaching by asking rather than telling. It's not about face-to-face or online – it's about a pedagogical approach that could be used in both circumstances. There's no inherent face-to-face requirement for the Socratic method – the success of this approach lies in the careful design of the questions and how the answers are responded to, rather than the physical arrangement of the teacher and learner(s). 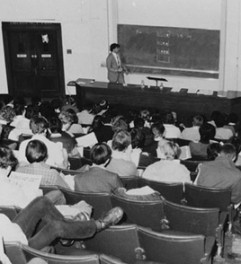 I first came across reference to the Socratic method in my early studies in distance education, when my lecturers referred to the adoption of the principles of the Socratic method in approaches to instructional design for correspondence materials, and later, online discussion forums. Jan tucker and Patricia Neely in the June 2010 issue of the International Journal of Technology and Distance Learning titled Using Web Conferencing and the Socratic Method to Facilitate Distance Learning in which they describe the success of using synchronous online technologies to facilitate/enable the sort of question-based teaching and learning based on the Socratic method. "[Ms Rosenbaum] said she was mystified by the requirement that students take online courses. She is taking some classes online as she works toward her master’s degree, and said they left her uninspired and less informed than in-person classes. Ms. Rosenbaum said she could not fathom how students would have the discipline to sit in front of their computers and follow along when she had to work each minute to keep them engaged in person." "We are mystified by the requirement that students take face-to-face classes… we cannot fathom how students have the discipline to sit in front of their desks and follow along when they have to work each minute to keep themselves engaged." Professional development is a hot topic in schools when I'm working with curriculum leaders and principals, looking at how to effect long term, meaningful and sustainable change in schools. In the weeks following the ULearn conference in Rotorua, I've had several principals comment to me how significant it can be for groups of staff from their schools to attend a high quality conference together – providing opportunity for significant reflection and planning to occur as a result of the shared experience, and also providing impetus for ongoing development when these staff return to school. This event isn't only about ICT – it touches on all aspects of the things we need to be doing or thinking about in order to ensure we provide our students with the very best education we can for the 21st century. Deanne Thomas and Wharehoka Wano who have had a long and diverse career in supporting Māori education in New Zealand, across primary, secondary, and tertiary institutions and settings. They are well known in the Māori Medium sector, and in the wider Māori communities for their work in education, technology, te reo Māori, the arts, and school leadership and management. Frank Green – Chief Executive of Leigh Academies Trust and is Executive Head of The Leigh Technology Academy, Longfield Academy, and the Wilmington Academy. Frank is a National Leader of Education, and The Leigh Technology Academy, a National Support School. He is also a founding director of the IAA (Independent Academies Association). Christian Long is an educator, school planner, technology expert, educational futurist, and passionate advocate for innovative learning communities.Christian founded "be Playful", a collaborative global design agency focused on the intersection between school planning and design, emerging technology, professional development, and future trending. Kevin Honeycutt has spent 20 years in education, the last eight have been at ESSDACK, a non-profit educational service agency, working in the area of staff development around 21st century skills. He has been managing the ArtSnacks network for nearly four years, and has used it to bring art understanding to thousands of people from all over the world. Registrations are now open for Learning@Schoo12 – providing two days of high quality professional learning, networking and refocusing. Register here. Ms Longstone was appointed to her current role of Director General for Infrastructure and Funding in September 2010 where she has been responsible for delivering a major plank of the Government's public sector reform programme, a significant change programme for schooling in England. The video above shows Ms Longstone speaking at the recent Free Schools conference in the UK, providing an overview of this initiative which is part of the English systems 'transformation agenda' for schools and schooling. My colleagues in the UK have been emailing me with their perspectives and comments on how these agendas are working out in practice – but it is interesting to see words like "transformation', 'reform' and 'change' associated with the person chosen as our incoming CEO for education – particularly after a period characterised by 'consolidation', 'risk aversion', 'fiscal responsibility'. etc. Looks like we could be in for an interesting few years ahead? At the recent hui for the National Aspiring Principals Progamme (NAPP) I had an opportunity to reflect on the history of the adoption of ICTs in New Zealand schools and the significance of this for school leaders and aspiring principals. When we are in the midst of such rapid change we sometimes lose sight of the bigger picture and some of the things that have happened which in turn set the scene for where we are now. These sorts of understandings can be very important for us to be able then to chart some sort of trajectory for the future. Over the past twelve months it’s been my pleasure to work with my CORE colleague, Dr Vince Ham, to bring together the thoughts and reflections of more than 20 New Zealand educators who have been at the fore-front of the ICT revolution in this country into an edited edition that we’ve called eLearnings: implementing a national strategy for ICT in Education, 1998–2010. Few countries in the world have embarked on such an ambitious approach to a national ICT strategy for schools as New Zealand. This book archives the impact and implementation of the national ICT strategy in New Zealand, 1998-2010, from the perspectives of the people who effected that implementation. It is a story of both policy initiative from the ‘top down’ and local innovation ‘from the bottom up’, as seen through the eyes of some of the politicians, bureaucrats, industry partners, consultants, principals and teachers who lived the experience. The book contains a collection of ‘personal perspectives’ from people who have been prominently and intimately involved in the implementation of the various Strategies over the last twelve years. We officially launched the book at the recent Learning@School conference in Rotorua, however, the CHCH earthquake left the bulk of the books available sitting in our building in the central city which has been out of bounds – apart from the small window of opportunity we had to go in and rescue some essential items. I’m pleased to say that we did manage to retrieve just a few boxes and these are now available for sale via the CORE website. I encourage anyone with an interest in understanding more of the context of change in the NZ schools and early childhood centres to read this collection of accounts that provide an excellent historical overview as well as some indications of where we might be headed in the future. 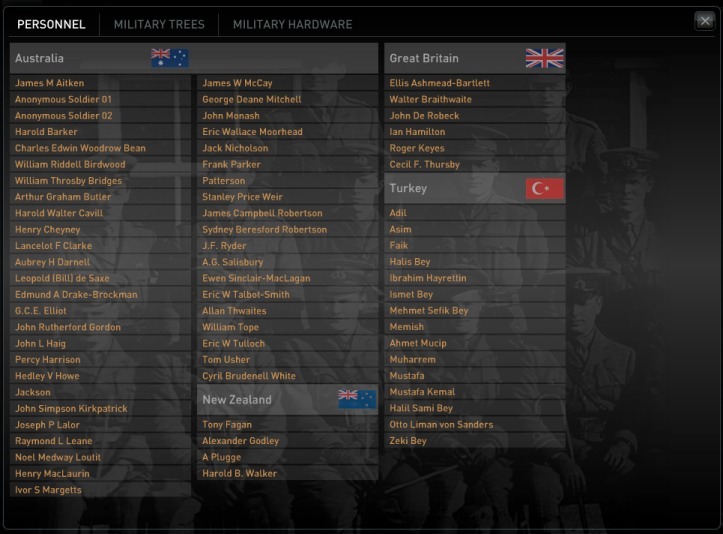 ANZAC day today – and another change to reflect on what the day is all about, and the lessons we have learned (or not?) about the significance of this event in the history of our nation. I have a number of images in my mind, formed from conversations with those who were involved in the campaign, and from the books and movies I’ve been exposed to over the years – along with the stories that are told at ANZAC parades. 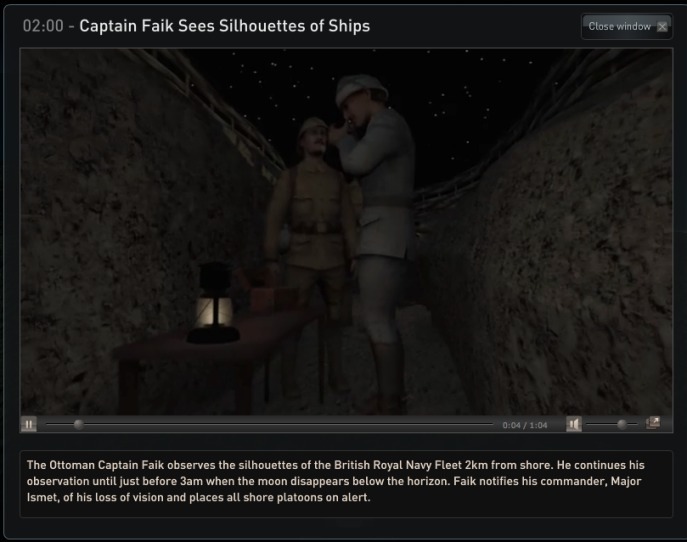 So I was very interested when I came across this resource from the Australian Broadcasting Corporation, which brings to life what happened at Gallipoli on that day. Gallipoli: The First Day was created when ABC Innovation producer Meena Tharmarajah saw the terrain at Anzac Cove and realised that seeing the terrain gave her a whole new perspective on the battle. She realised that you could use mapping technologies that are now available to tell the story of these events in a recreation of that environment, giving people a far deeper insight. It would be the next best thing to being there. 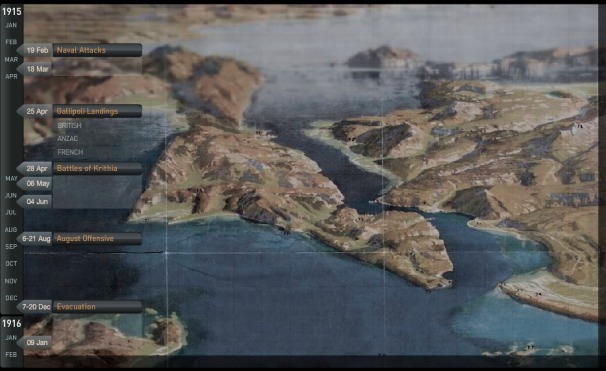 The 3D Map of the peninsula was built using topographic data taken from 1916 Turkish maps. Surveys of all the Gallipoli battlefields were made in 1916 by the Turkish Mapping Directorate under Brigadier General Mehmet Şevki Paşa and 43 maps were made. As the data is true to the period our 3D map doesn’t show contemporary building developments and roads. Sydney University Archaeology Department then supplied the GIS data used to shape and create the terrain topography. The scenes that tell the story of the day were created in 3D using Cinema4D software. The models of soldiers and objects that populate these scenes were meticulously created for Gallipoli by Plastic Wax, Sydney, based on photographs and descriptions recorded at Gallipoli. The site contains a useful teacher resource area that provides a range of ideas for you to implement in the classroom. There’s also the option to download a version of the resource to run it directly from your own computer (NB need Adobe AIR installed). Although it is developed in Australia, there’s plenty here to make it relevant to NZ, including reference to several New Zealanders in the profiles section, which provides some excellent background material for use with the teacher resource ideas. All in all, an excellent resource that I can see would capture the imaginations of many school students. I can imagine it being used particularly effectively with a whole class and an interactive whiteboard.